I love summer and all the delicious treats associated with the season, but I don’t have unlimited funds to satisfy my cravings. 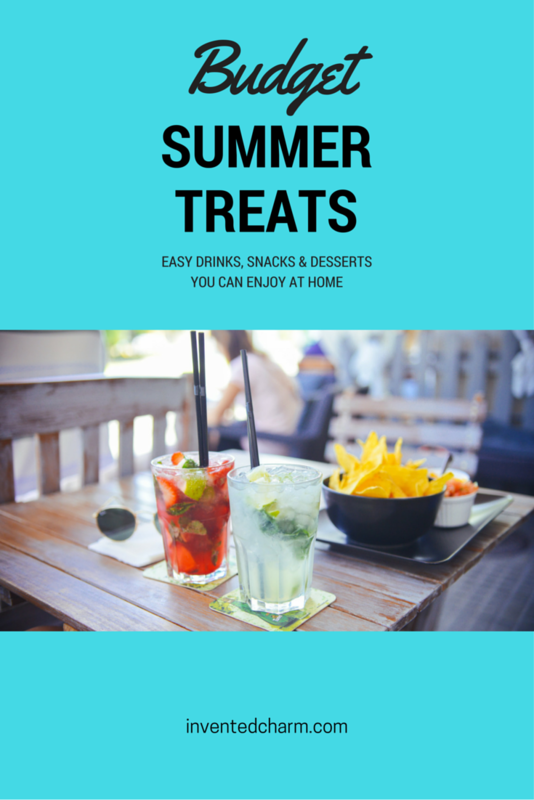 If you’re like me and trying to be more conscious about your spending this summer, here are some budget friendly ideas for treats you can enjoy at home. If you like to order enormous cups of iced tea from Starbucks, try brewing it at home for a fraction of the cost. A box of the Passion Tazo tea is less than $7 for 20 bags. Herbal tea is a great choice for the whole family since it’s naturally caffeine free and can be sweetened to taste or even mixed with lemonade a la Starbucks. If you prefer something a little more potent, try Coffee Bean & Tea Leaf’s Tropical Passion, also ~$7 for 20 bags. It’s a blend of black tea with passion fruit, guava, and tropical flowers. I brew my tea hot in my Takeya pitcher and then chill it in the fridge. You can make iced tea at home several times over for the cost of buying it when you’re out. Making traditional iced coffee at home is pretty inexpensive, but it’s also not that tasty. Watering down hot coffee with ice cubes is not my idea of a treat. I used to let batches of “iced coffee” go to waste because it tasted bitter and I would end up going out for coffee anyway and spending more money. 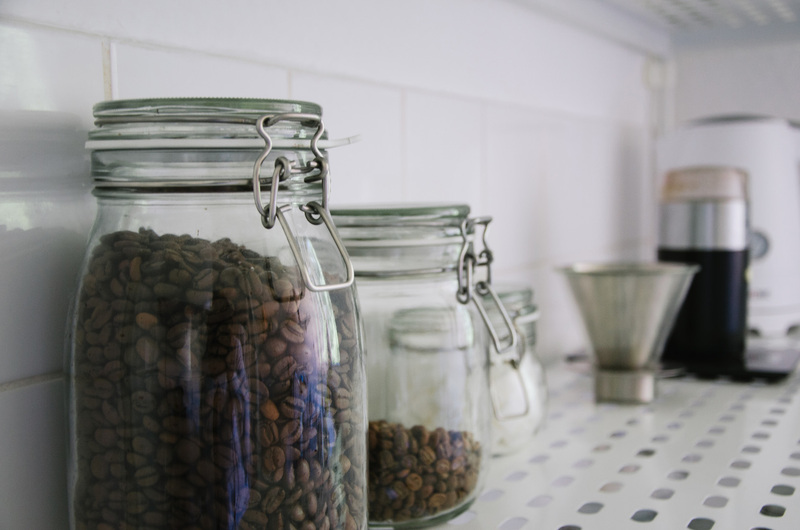 So this summer I’ve been searching for the perfect recipe for cold brew coffee, which steeps grounds very slowly at room temperature and creates a smooth and less acidic coffee. How to Make a Cold Brew French Press via The Kitchn: Adapted from a New York Times’ recipe. This one gives good instruction if using a French Press. Perfect Iced Coffee via The Pioneer Woman: Her recipe makes a large batch (nearly 8 quarts) using a pound of pre-ground coffee, zero coffee “equipment,” and takes the guess work out if you don’t have a grinder and a scale. It’s Time to Make Cold Brewed Coffee via Serious Eats: This will walk you through how to make cold brew depending on various vessel sizes and equipment. My one piece of advice not in any of the above links is to take note of your grinder if you’re using whole beans, as grinders are not created equally. My grinder has multiple settings for fine, medium, or coarse, and I have had much better luck with cold brew coffee in my French press when I set my grinder to medium rather than coarse. It’s important to stay hydrated, and even more so when you’re in the heat. I try to drink a lot of water, but sometimes I just want a mid-afternoon treat. I’d much rather grab a can of no cal or low cal seltzer water over a Diet Coke (an addiction I’ve worked hard to break). Lately I’ve been turning to La Croix flavored seltzer (coconut is my favorite! $10.50 for 12 cans via Amazon), and this week I bought Watermelon flavored Spindrift at Trader Joe’s ($3.99 for 4 cans). Sure, seltzer is not free like tap water, but it’s still incredibly budget friendly, and health conscious. If you want to know the history behind the rising trend of seltzer water, here you go. I used to love grabbing drinks with friends after work or on a lazy Saturday, but summer is the perfect time to host happy hour at home. Even an apartment or condo dweller like myself has access to outdoor space. Enjoy the sunset with your favorite brew, a chilled wine, or even a hand crafted cocktail. If you order two drinks at a bar or restaurant you can easily spend $20. Why not buy a six pack of a local IPA for $9.99 and a bottle of Rosé for $10? Looking for something a little more exciting? Try making jello shots like they do on A Beautiful Mess. 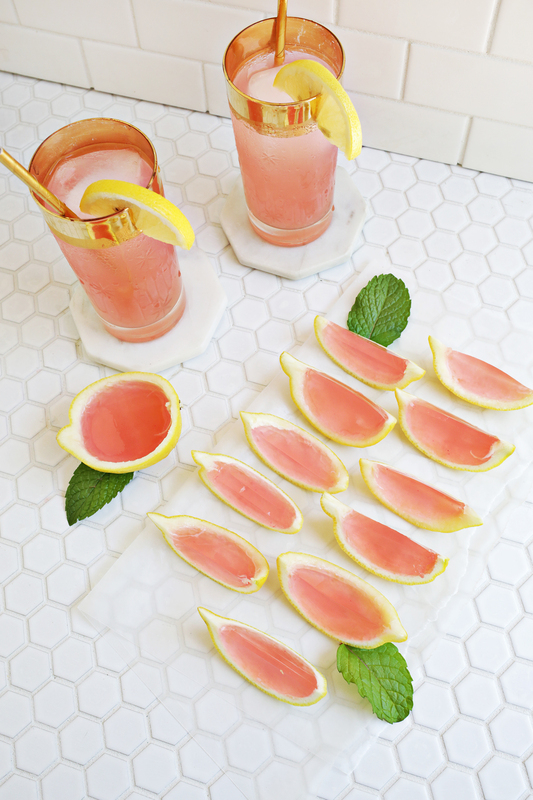 Look at these gorgeous Pink Lemonade jello shots from A Beautiful Mess. Going to the movies to beat the heat is an absolute must, but this can seriously add up over the summer especially if you’re shelling out $10 or more for movie theater popcorn every time. (I would know! My first job in high school was working at a movie theater.) Try going to free movies in the park or at local community centers and packing your home popped corn. Even better, find something on Netflix or Amazon Prime and experiment on your stovetop making kettle corn or buttered popcorn in a DIY microwave bag. You’ll spend way less than what you would if you go out to the movie theater. Ballgames, amusement parks, festivals, and fairs all boast one thing in common. Nachos. These nachos are usually made with a cheesy, gooey sludge and topped with pickled jalapeños–they are something unto themselves. But this summer I’m going to limit our trips to fairs and festivals, and forget about ball games and amusement parks, we are strictly staycationing. Instead, I’m going to make these Corn and Black Bean Nachos. 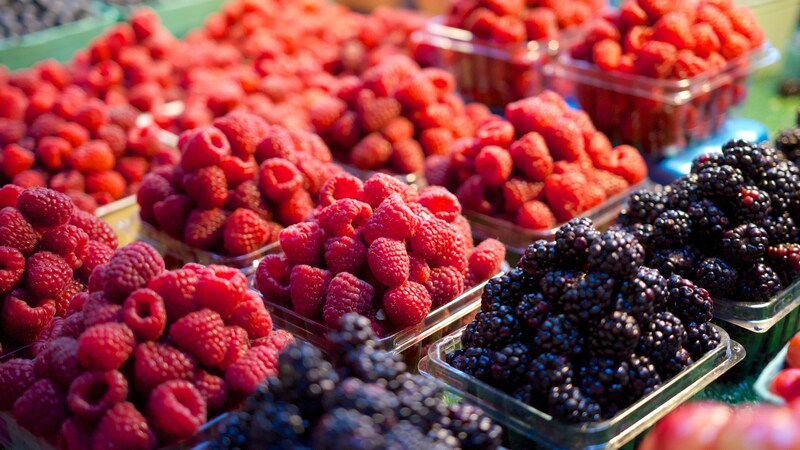 I want to eat these all summer long. 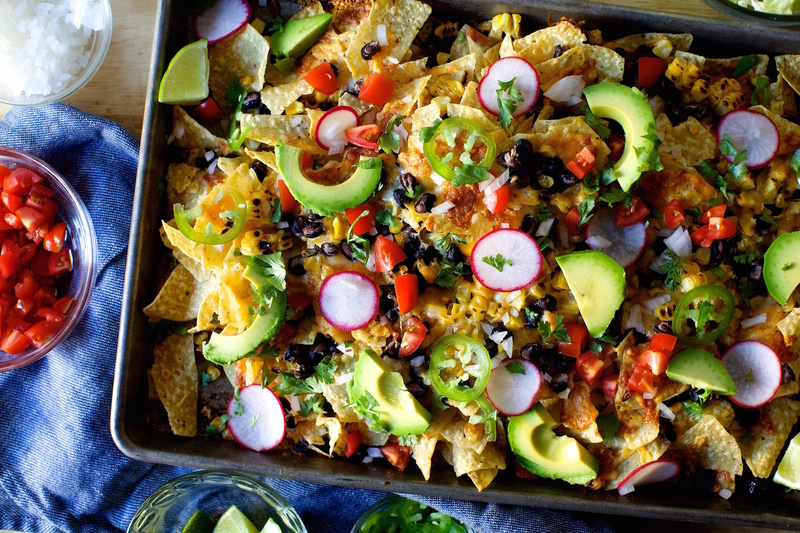 Check out Smitten Kitchen’s Black Bean and Corn Nachos. On the road trip home from my parents’ place up north, we stopped at A&W for dinner. It was perfectly greasy and reminded me of my childhood. To top off the meal, I ordered a large root beer float to share with my husband on the drive. It was $5 and I got full about half way through and we ended up tossing the rest after the soft serve ice cream melted. I can easily create my own floats at home–several in fact–for the price of just one purchased at the restaurant. Buy a six pack or a liter bottle of root beer, vanilla ice cream, and serve in a tall glass. This would be a really fun and low- stress dessert to serve at your next barbecue. 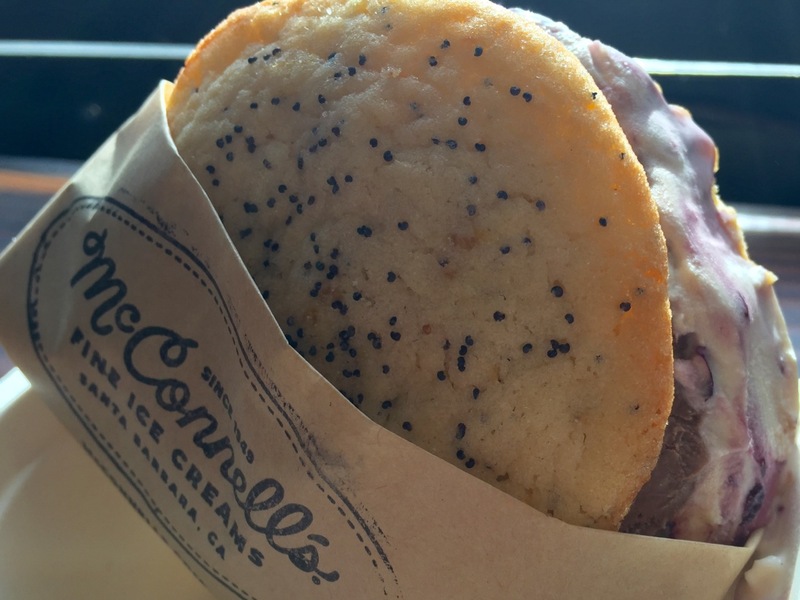 I bet you’ve seen all the amazing food blogs where people make ice cream sandwiches from scratch–homemade ice cream, fresh baked cookies, sprinkles and chocolate chips to decorate. Maybe you’re like me and look longingly and know you’re never going to find the time to make ice cream sandwiches from scratch. Maybe you’re already working on filling in a frequent buyer’s card for those gourmet ice cream sandwiches they sell at the fancy ice cream shop (no, that’s just me?). How about making semi-homemade ice cream sandwiches? I set aside a dozen balls of dough for the freezer whenever I make cookies. I could pick up a gallon of ice cream at the store and seriously impress my friends the next time I host them for dinner. And if you don’t like to bake at all, you can get a dozen cookies at the grocery store for less than what an ice cream sandwich will cost you at my favorite spot where they go for $6.95 a pop. Look at this beauty. At nearly 7 bucks, this is a special occasion treat only! I long to learn how to make pastry, but alas that just hasn’t happened for me yet. But store bought crust is seriously cheap, and I can make a filling with beautiful summer berries or stone fruit (or even bags of frozen fruit), all for way less than what I pay when I go out for pie at my local diner. Semi-Homemade Apple Pie from The Cupcake Diaries via Tastes Better from Scratch: Alli uses Pilsbury crusts, but I’ve been using Trader Joe’s for years. They can be a bit tricky to roll out and sometimes tear, but I find the crust itself to be just right tasting–not too salty or sweet. Quick & Easy Blueberry Crisp from Spend with Pennies: The recipe calls for either fresh or frozen berries! Classic Bisquick Peach Cobbler from Betty Crocker: You can sub fresh peaches for canned. This is probably one of the first things I made when I moved out on my own! What could be more fun than roasting marshmallows over an open flame and sandwiching them between chocolate and graham crackers? Literally nothing. But if you’re not building a campfire anytime soon and making microwaved s’mores doesn’t interest you, how about S’mores Brownie Pie from Sally’s Baking Addiction? You bake it right in your oven, no camping trip required! It’s definitely on my baking list for the summer. What are your go-to summer drinks, snacks, and desserts? Have you ever given homemade pie crust a shot? For the longest time I was terrified to try it, only to one day realize it wasn’t that hard! It took me a bit of tinkering with various recipes to find the exact ratio I liked, but now I make it a lot. I really haven’t tried! I actually really didn’t like the taste of crust for the longest time, so it just seemed like why bother, you know. But maybe I’ll do it. Do you have a favorite recipe? I do, I’ll type it up and send it your way in the next few days! I kind of use a combo of a couple different ones, so I’ve got to mesh them together. Lol.